Beautiful setting for this grand open foyer colonial in Thornbury Hunt. Situated on a corner lot backing to woodlands, you'll find this well appointed home. Features include hardwood flooring throughout the living areas, ceramic tile bathrooms, cathedral and 9' ceilings and an oversized side load two car garage. The first floor has truly open rooms for easy living. This kitchen is open to both the formal dining room and breakfast area along with the family room. The family room features a stately stone gas fireplace with raised hearth and live edge barn beam mantle. Upstairs there is a supersized owner's suite with sitting area, walk-in closet and spacious owner's bath with ceramic floors, shower with bench seat, soak tub with ceramic surround and double bowl vanities. Along with the owner's suite there are three generous bedrooms, a hall bath and laundry area. Outside you'll find stone accents, a full front porch and composite deck off the rear. 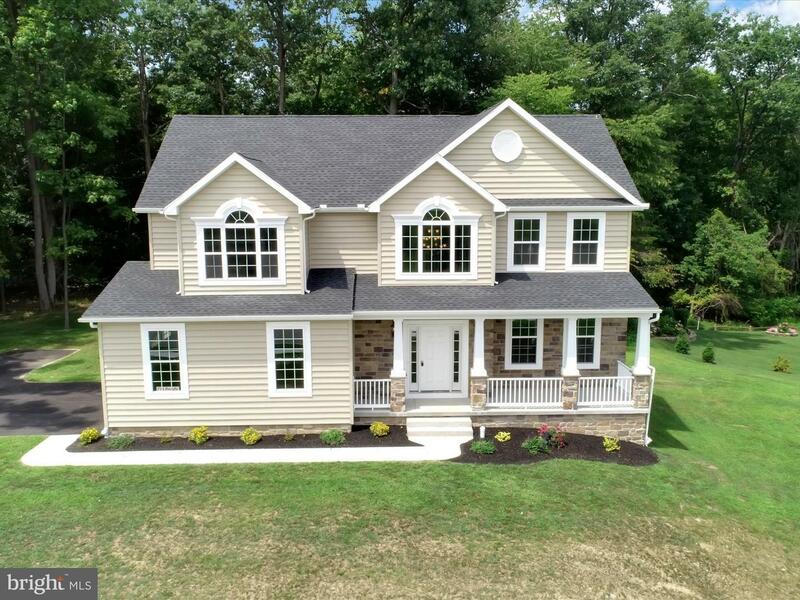 MLS #1002086506, Listed on 07/23/18 by JOSEPH A MYERS REAL ESTATE, INC.
1101 Brian Ln #29 is a 4 bedroom, 3 bathroom Single Family home for sale in Hanover, PA. It's listed for $428,653 and it's been on ERA.com for 271 days. Built in 2018 , this property has a lot size of 28,314 Sq. Ft.. This listing is provided courtesy of JOSEPH A MYERS REAL ESTATE, INC.. Interested in seeing more Hanover homes for sale? Here on ERA.com, you can search for all Hanover MLS listings, save properties that catch your eye, and contact a real estate agent when you're ready to take the next step!